Legend has it, the evolution of Karate began over a thousand years ago, possibly as early as the fifth century B.C., when a Buddhist monk by the name of Bodhidharma arrived at the Shaolin temple in China, from India, where he taught Zen Buddhism. He also introduced a set of exercises designed to strengthen the mind and body, exercises that allegedly marked the beginning of the Shaolin style of temple boxing. 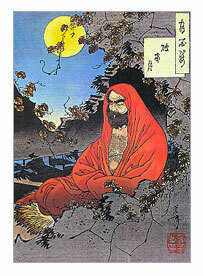 Bodhidharma's teachings later became the basis for the majority of Chinese martial arts. Little was known about the early development of Karate until it appeared in Okinawa. Okinawa is a small island of the group that comprises modern day Japan. It is the main island in the chain of Ryuku Islands, which spans from Japan to Taiwan. Being at the cross road of major trading routes, its significance as a 'resting spot' was first discovered by the Japanese. It later developed as a trade centre for south East Asia, trading with Japan and China amongst others. In it's early stages, the martial art known as "KARATE" was an indigenous form of closed fist fighting which was developed in Okinawa called "Te", or "hand". Further refinement came with the influence of other martial arts brought by nobles and trade merchants to the island. 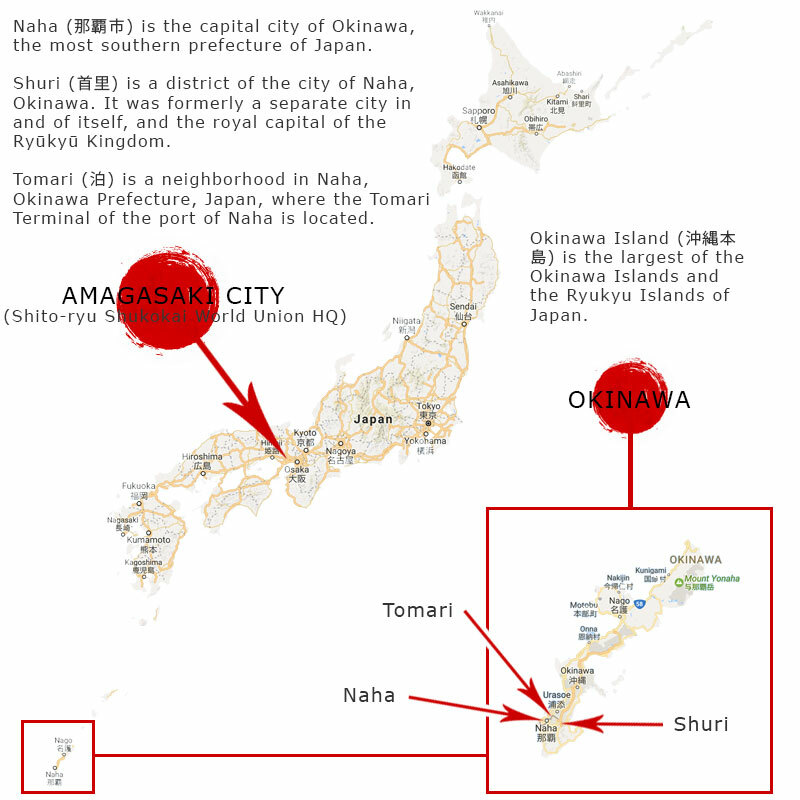 Te continued to develop over the years, primarily in three Okinawan cities: Shuri, Naha and Tomari. Each of these towns was a centre to a different section of society: kings and nobles, merchants and business people, and farmers and anglers, respectively. For this reason, different forms developed within each city and subsequently became known as: Shuri-te, Naha-te and Tomari-te, collectively they were called "To-de" "Chinese Hand". Gradually, two main groups were formed: Shorin-Ryu, which developed around Shuri and Tomari and Shorei-Ryu from the Naha area. The Chinese character used to write To-de could also be pronounced 'Kara' thus Te with Kara-te Jutsu or 'Chinese hand art’ by the Okinwan masters. This was later changed to Karate-do by the Japanese who adopted an alternative meaning for the Chinese character. From this point on the term, Karate came to mean 'Empty Hand'. The 'Do' in Karate-Do means 'way' or 'path', and is indicative of the discipline and philosophy of Karate with its moral and spiritual connotations. The first public demonstration of Karate in Japan was in 1917 by Gichin Funakoshi, who was also instrumental in changing the name to KARATE-DO. For further, more in-depth information about Sensei Mabuni, please see the separate page on his history here. When he was 13 years old, Kenwa Mabuni Sensei began his training in Shorin Ryu with Anko Itosu Sensei, a noted Karate master, in the Shuri area of Okinawa. 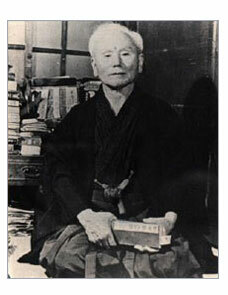 Itosu Sensei was not only highly skilled in Budo but also a great innovator in teaching the martial arts. 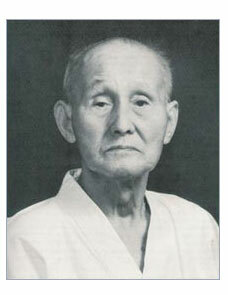 Around 1905, Itosu Sensei introduced Karate into the Okinawan public school system. 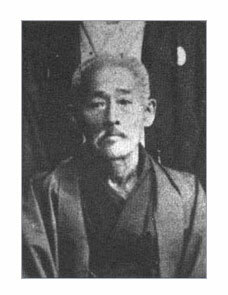 Among other accomplishments, Itosu Sensei created the Pinan Kata, which are still practised today as introductory or intermediate forms in many schools. 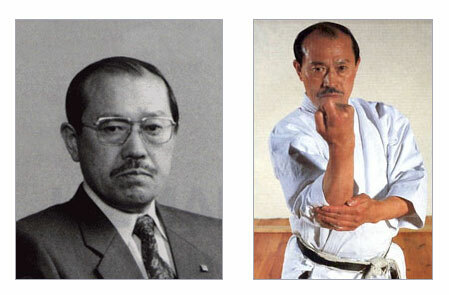 Itosu Sensei had an important effect on Karate in the 20th Century. Evidence of this can be found in the number of Karate styles that trace their lineage back to him. 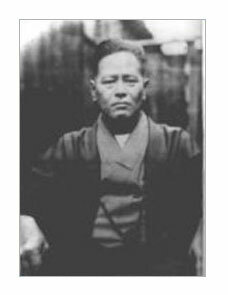 In about 1909, through an introduction by his friend Chojun Miyagi Sensei (Founder of Goju-Ryu) Mabuni Sensei started to train with Kanryo Higaonna, in Shorei Ryu. Higaonna Sensei was a great expert from the Naha region of Okinawa. 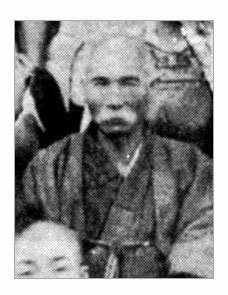 In 1915, both Itosu Sensei and Higaonna Sensei passed away within a short time of each other. Mabuni Sensei continued his training. Ultimately, he and Miagi Sensei joined with other students of Karate to start a research group aimed at practising and spreading Karate. In 1929, Mabuni Sensei moved his entire family to Osaka. There he established a small dojo and began teaching his unique art, which was an eclectic mix of Shorin Ryu (Itosu) and Shorei Ryu (Higaonna), with some Kata from the White Crane that were taught to him by the legendary Go Kenki, a Chinese tea merchant who would visit Okinawa on business. Mabuni Sensei ultimately decided to name his art 'SHI TO' which was formed by taking the first two characters (kanji) from the names of his two primary teachers, Itosu and Higaonna. 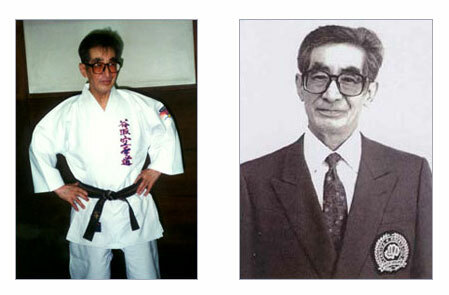 Thus, the name Shito Ryu has no literal meaning but rather honours the two main teachers in Mabuni Sensei's life. Mabuni Sensei worked tirelessly to teach Karate throughout Japan, and the impact that he had on the development of Japanese Karate was tremendous. Many groups trace an element of their lineage back to him. Kenwa Mabuni died on 23rd May 1952. 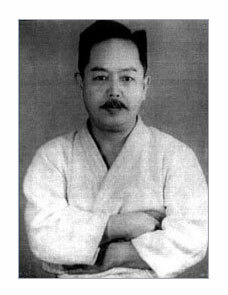 The Shukokai school of Karate was founded by Soke Chojiro Tani (1921-1998). continued to study Go-Ju under the great Karate master and founder of Go-Ju Chojun Miyagi. where he continued to teach Go-ju ryu (Shorei-Ryu) as taught to him by Higaonna Sensei. and ultimately Shitō-Ryū. After the war, Tani Sensei started to teach Karate in an open-air car park in the centre of Kobe. the scroll of succession from Master Mabuni and was given permission to start up his own sect, Tani-Ha Shito-Ryu. 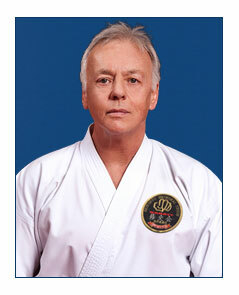 He was succeeded by one of his most senior students, Haruyoshi Yamada 10th Dan Soke. the students of this innovative Karate Master, the first man to harmonise martial arts and technology. Steps were immediately taken to continue the dreams and philosophy of Tani Sensei. were nine Sensei of Hanshi rank (awarded by Tani Sensei) and thirty two members of Officer Rank. was unanimously voted as the proper successor to the original Shukokai organised by Tani Sensei. Sōke Haruyoshi Yamada 10th Dan (8th Dan certification J.K.F.) was voted the new leader. Sensei Yamada is thoroughly knowledgeable with the constantly shifting world of Karate-Do. He was the sole teacher at Shukokai who facilitated traditional Karate-Do and who appealed to the rest of the Karate world. Shito-ryu Shukokai Karate-do Union is now a worldwide organisation, and is one of the most dynamic and successful schools of karate. expressed concern regarding the stagnation and deviation of kata and technique. In order to get back on track and continue to expand their knowledge, it was necessary to return to their roots. "If you leave the main stream your river of knowledge will dry up"
On the 6th December 1998, the inaugural meeting of the Shukokai Shito-ryu Karate-do Great Britain took place and the new association was formed under the leadership of Denis Casey Sensei 8th Dan. Links were made with Japan and in August 1999 the chief instructor together with a group of senior instructors travelled to Japan to train under the chief instructor and president of the Shito-ryu Shukokai Union, Haruyoshi Yamada Hanshi. After this enlightening experience, Yamada Sensei was invited to England to pass on some of his vast knowledge to the U.K. Karate-Ka. It was at a meeting after the seminar that Yamada Sensei expressed his wish for Denis Casey to be his representative for the U.K., and for the Shukokai Shito-ryu Karate-do Great Britain to become members of the Shito-ryu Shukokai Karate-do Union. The name of the association was changed accordingly. The association continues to grow and is now the largest Shito-ryu / Shukokai group in the United Kingdom.